Professor Robert Devoy, is Professor in Physical Geography and Emeritus Professor in Geography, University College Cork (UCC). He was a lead member of the Intergovernmental Panel on Climate Change (IPCC) AR4 Working Group II and was a Reviewer in IPCC AR5 (2013-2014), with an international academic career spanning some 40 years. He was formerly Head of the School of Geography, Archaeology and Planning in UCC and is currently senior scientist and technical advisor in the Centre for Marine and Energy-based Research (MaREI), UCC, as well as Student Ombudsman for the University. 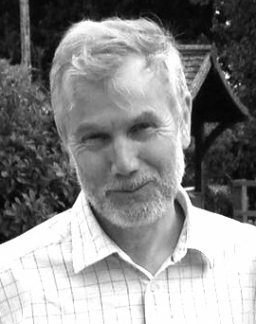 His research work is primarily in the area of coastal science, working on a range of aspects of palaeoenvironmental records, contemporary coastal processes and systems’ functioning, together with related issues of coastal management, planning and governance. Robert Devoy is Emeritus Professor of Geography and Professor in Physical Geography in University College Cork. He retired in September 2011 as the Head of the School of Geography and Archaeology: The Human Environment at UCC. He currently continues to work as senior scientist and technical advisor at the Centre for Marine and Energy-based Research (MaREI), Beaufort Building, Environmental Research Institute, UCC; as member of the Irish Maritime and Energy Resource Cluster (IMERC) for UCC & the NMCI and is an external scientific assessor and member of the governance group for Science Foundation Ireland’s (SFI) virtual Centre for Marine and Renewable Energy Ireland (MaREI). He continues to be involved within MaREI in a range of EU Framework, EPA and other nationally funded research projects, dealing particularly with issues of coastal science and management, together with aspects of climate, energy and linked environmental changes. Prof. Devoy was a lead author in the Intergovernmental Panel on Climate Change’s (IPCC) Nobel Prize (2007) winning Fourth Assessment Report. Robert’s early research centred on London and the coasts of southern England, with PhD work on the analysis of sea-level changes and land subsidence in the Thames estuary, as linked to the building of the Thames Barrage. Moving to Cork in 1977, this coastal-based research continued in Ireland and also more widely; in the eastern USA, in Atlantic Europe from Scandinavia and the Baltic to Mediterranean Spain, in Australia, Tahiti and New Zealand. This work has led to the extensive publication of research papers and books on many aspects of sea-level changes, ancient shorelines and coastal processes, tsunamis, on areas of marine science and on coastal management under climate warming, as well as on the development of landbridges and their use in plant and animal migration and on other Quaternary palaeoenvironmental reconstructions. More recently, people’s concerns for the repercussions of climate change and sea-level rise have resulted in work on the projection and forecasting, through numerical modelling, of the impacts of changes in storminess patterns and waves on European Atlantic coasts. Coastal erosion, wave, sediment and water dynamics and related coastal processes on the south and western coasts of Ireland, European and wider coastal management issues and linked renewable offshore energy – resources policy, together with work on coastal palaeoenvironmental reconstructions and tsunami are topics of Robert’s current research. In 1992 this coastal research led to the founding of the Coastal and Marine Research Centre (CMRC), of which Robert was Director until 2002, and which was recently re-organised into the MaREI Centre, Beaufort Building, ERI. Further Information can be found on Professor Robert’s UCC Research Profile.